Our upfit solutions allow you to easily design the right van for the job at hand. With the 2.0L 4-Cylinder Turbo Gasoline117 engine with 9-speed transmission and the 3.0L V6 Turbo Diesel engine with 7-speed transmission, you decide what best fits your needs for performance and fuel efficiency. Along with the new suspension lineup and 4x4 capability,115 these options show The new Sprinter is truly Built For You. In case of any oncoming danger, Active Brake Assist warns drivers and if necessary, will brake for them. As a class-leading feature, it is the only system that can recognize and respond to pedestrians. Blind Spot Assist provides warnings regarding vehicles in the blind spot while Rear Cross Traffic Alert warns about crossing objects when reversing. 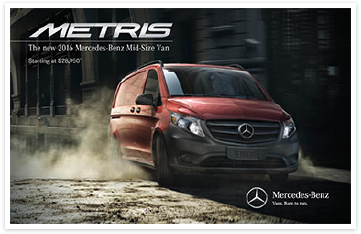 Extensively tested and highly advanced new optional traffic awareness features make safety a cornerstone of The new Sprinter. Experience the innovative connectivity solutions of Mercedes PRO connect. Mercedes PRO connect provides solutions that intelligently connect drivers, vehicles, and managers, to improve productivity, drive excellence, and push your business further. 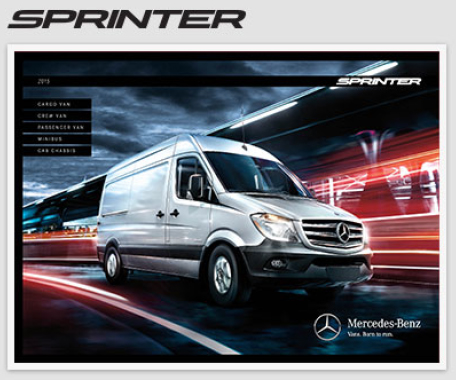 Available with every new Sprinter, Mercedes PRO connect is the future of a successful business. Discover the advantages of Mercedes PRO connect.